A little information about our trees. Click on the image to get a close-up of the branches. ​Scotch Pines are long-needled and soft. Scotch pine has historically been the most popular Christmas tree in the U.S. It is known for its firm branches and excellent needle retention. 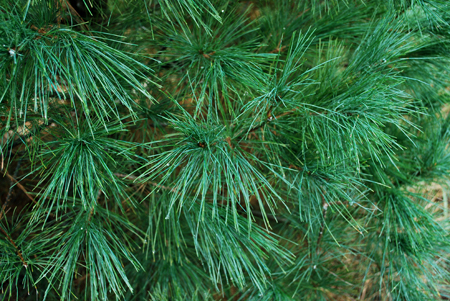 ​White Pine needles are long and thin and grow in groups of five. They are very soft to the touch. They are noted for holding their needles well, even long after being cut. They also are well-suited for people with allergies, as they give little to no aroma. 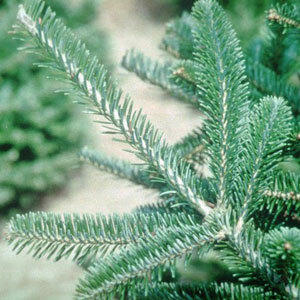 The needles on a Douglas fir are dark green – blue green in color and are about 1 – 1 ½ inches in length. The Douglas fir needles radiate in all directions from the branch. When crushed, these needles have a sweet fragrance. 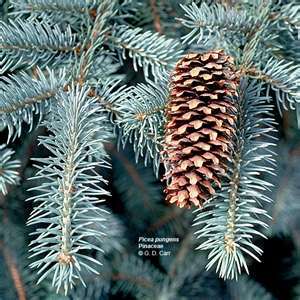 Blue Spruce trees are a very popular Christmas tree. They hold their needles well if kept watered and give off an "evergreen tree" aroma that is quite pleasing. Their branches are very strong and can hold heavy ornaments. excellent needle retention. 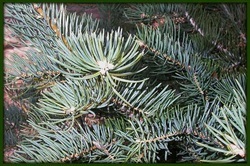 The Fraser fir branches are firm and turn slightly upward with a soft short needle. 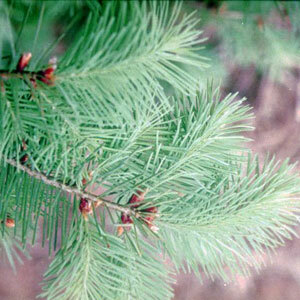 These small, narrow needles on the Concolor fir are around 1 - 1 ½ in. in length and occur in rows. They have good foliage color, good needle retention, and a pleasing shape and aroma. Also called the White fir.